Reading takes too long... just show me the 8 photos from this article. Because you want the best… we have squared off, easy to read menu boards and prices for Epcot's 2017 Flower & Garden Festival! Those menu boards can be found here… Pinterest Menu Boards for Epcot's 2017 Flower and Garden Festival. 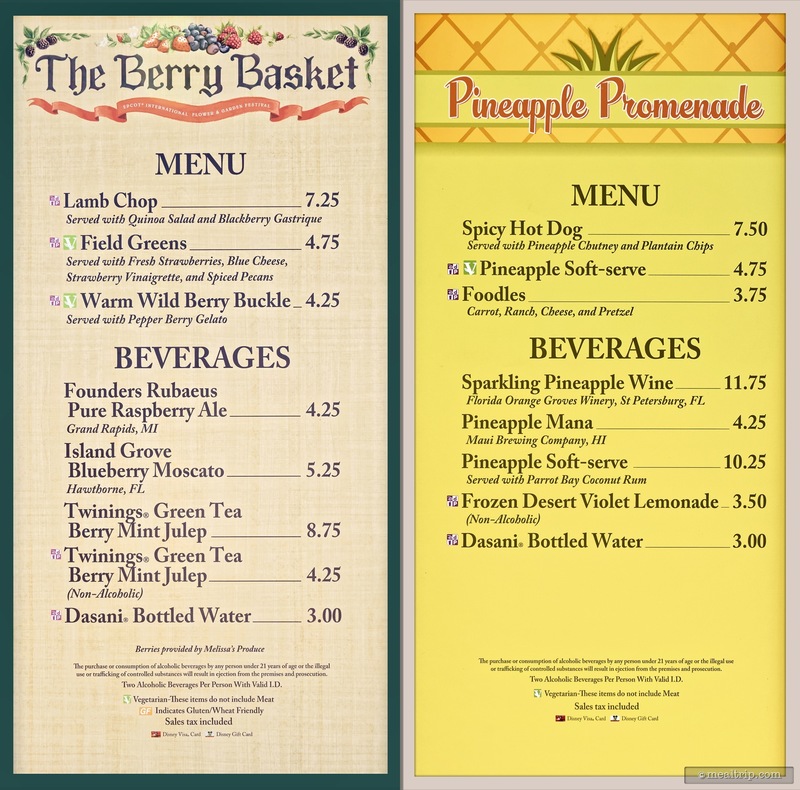 Epcot Flower and Garden Festival menu boards and prices for 2017, The Berry Basket and Pineapple Promenade. 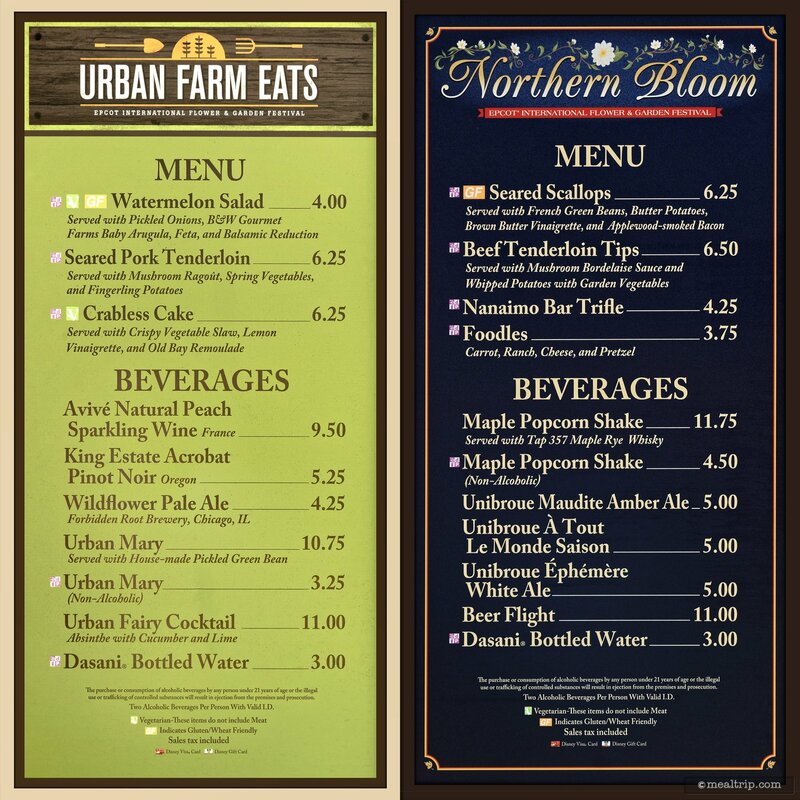 Epcot Flower and Garden Festival menu boards and prices for 2017, Urban Farm eats and Northern Bloom. 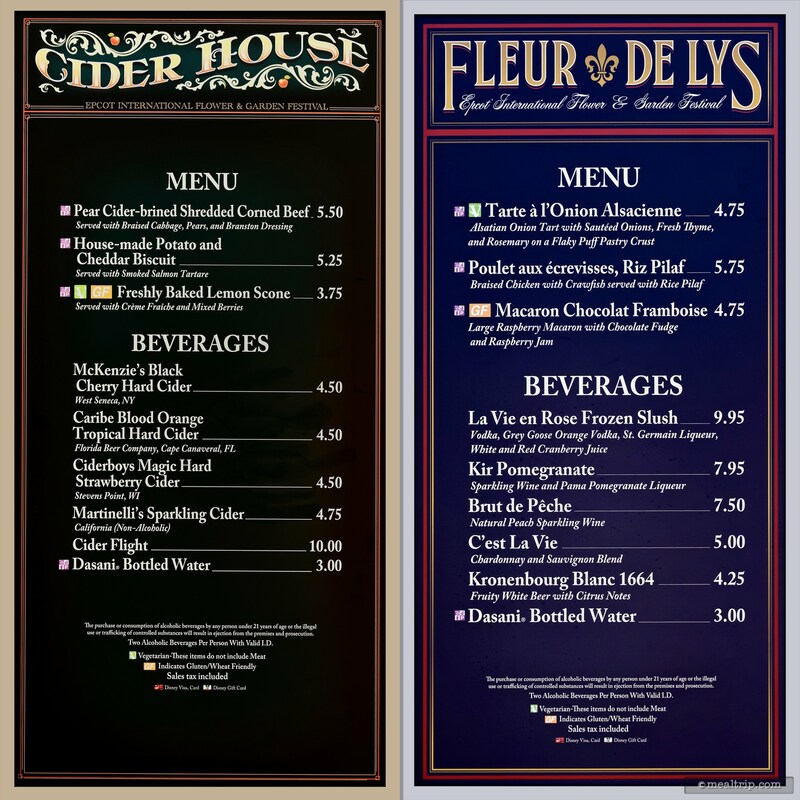 Epcot Flower and Garden Festival menu boards and prices for 2017, Cider House and Fleur de Lys. 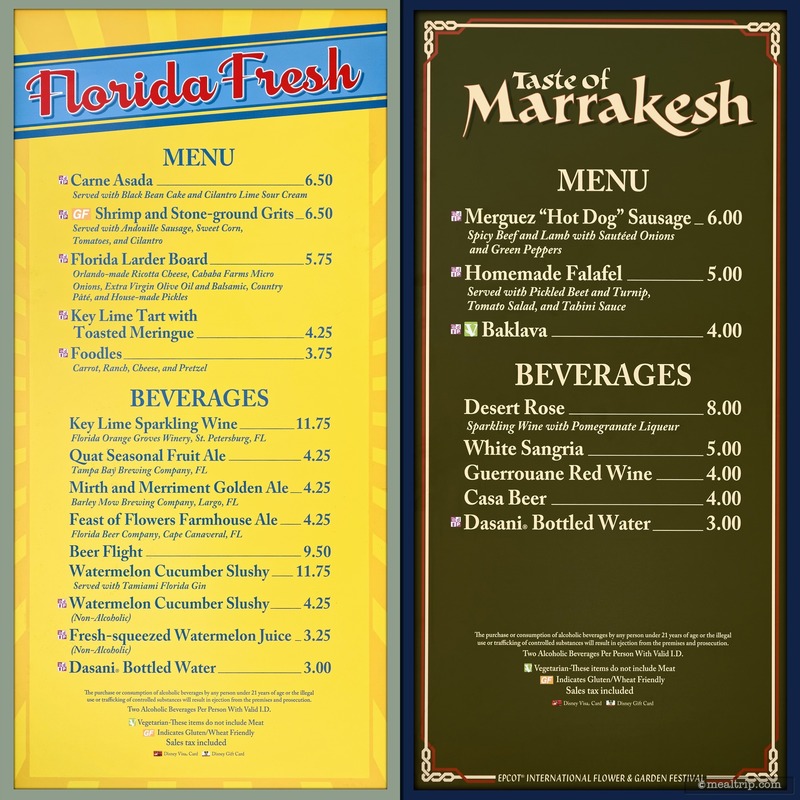 Epcot Flower and Garden Festival menu boards and prices for 2017, Florida Fresh and Taste of Marrakesh. 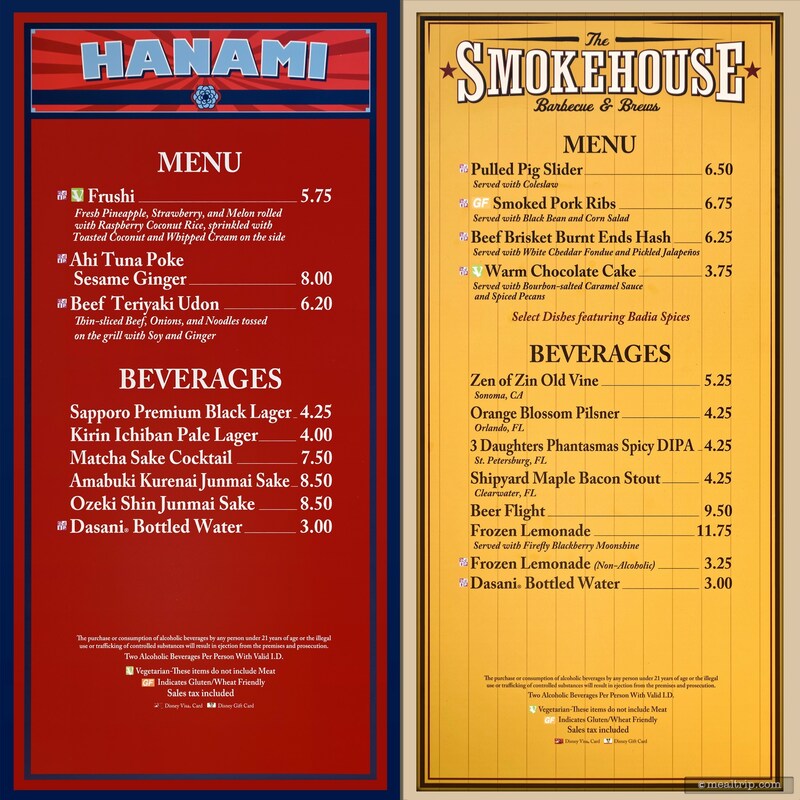 Epcot Flower and Garden Festival menu boards and prices for 2017, Hanami and The Smokehouse. 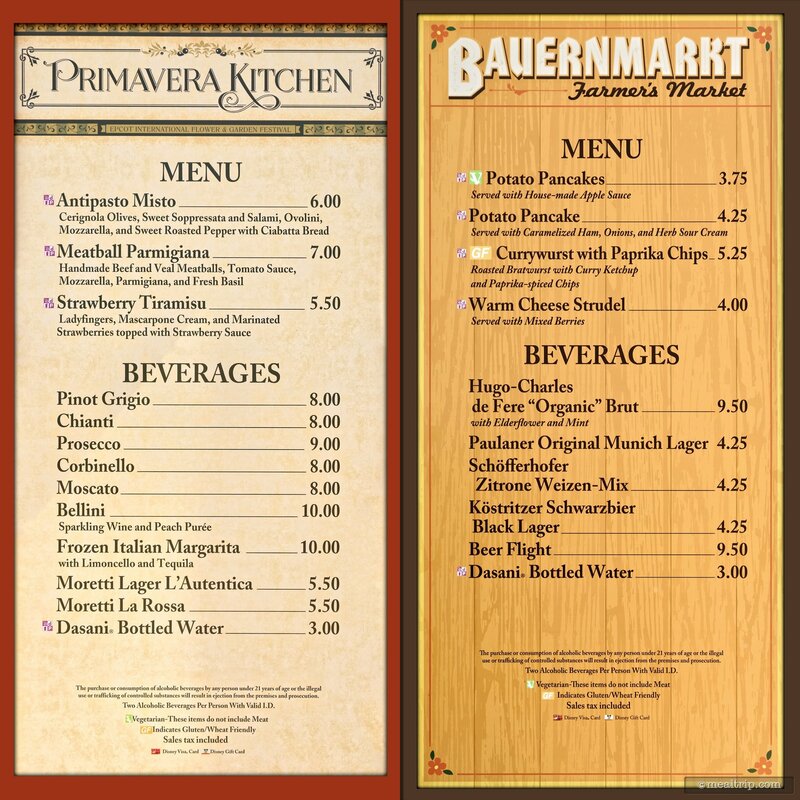 Epcot Flower and Garden Festival menu boards and prices for 2017, Primavera Kitchen and Bauernmarket. 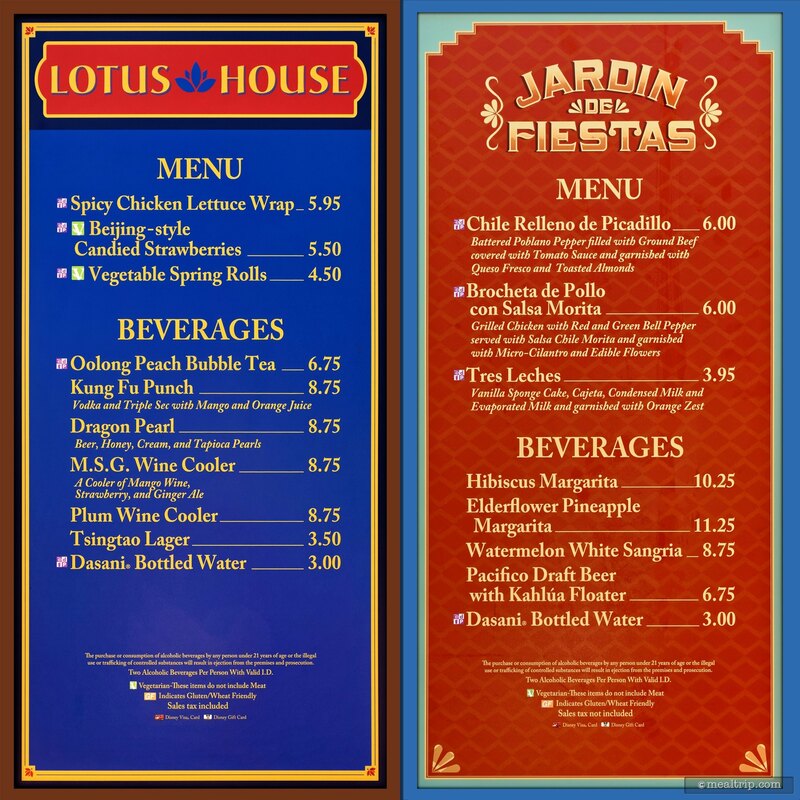 Epcot Flower and Garden Festival menu boards and prices for 2017, Lotus House and Jardin de Fiesta. 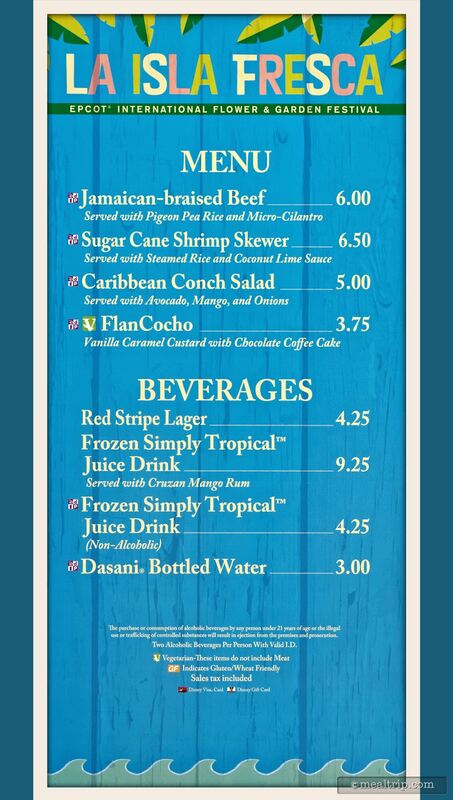 Epcot Flower and Garden Festival menu boards and prices for 2017, La Isla Fresca.